If you’re a student—especially an undergrad—a personal loan shouldn’t be your first option. Most lenders only offer personal loans to people with credit scores of at least 580-640, and the lowest rates (4.99% to 6.99%) are reserved for people with an excellent rating in the range of 720-850. Most undergrads suffer from poor credit, due to a lack of credit history. With that said, if you do meet at least the minimum credit requirements, a personal loan enables quick access to funds without having to fill in too much paperwork or offer up any assets as collateral. And the good news: some lenders offer personal loans that are suitable for students—with lower credit requirements, small loan amounts, and no prepayment penalties. Eloan is an online lending house that provides small to medium-sized personal loans for people with all types of financial histories. The online application process is quick and easy, there is no origination fee, and you should be able to get the money into your account as quickly as the next business day. Eloan gives you a lot of flexibility for your loan, which can be repaid over anywhere between 18-60 months. The company also won’t deny you solely based on a mediocre credit score, and takes a wider view of your financial viability, looking at your job history, debt-to-income ratio, and more. LendingClub is an onlinepeer-to-peer (P2P)lending marketplace that connects borrowers directly with investors. By cutting traditional lending institutions out of the picture, Lending Club lowers the cost of doing business, helping borrowers get lower rates and investors earn risk-adjusted returns. The entire process takes place online, making it a suitable option for younger borrowers who aren’t afraid to apply for and get approved for a loan without meeting anyone face to face. When you ask for a quote, LendingClub uses only a soft credit inquiry that doesn’t affect your credit score. The only fee is a one-off origination fee of 1%-6% that gets deducted from your loan when it’s issued. 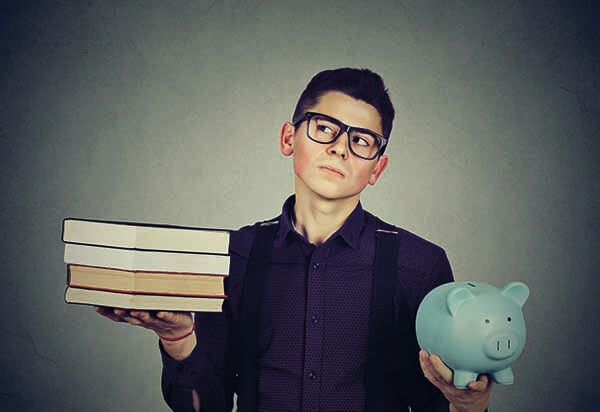 Whether you’re using a personal loan to cover the costs of student life or to fund any other major expense, the same golden rule applies: always compare lenders. Some lenders offer lower APRs, some cater to lower-credit borrowers, some promise quick funding, and some promise all the above. By comparing multiple lenders, you can find one that offers a personal loan to suit your needs.